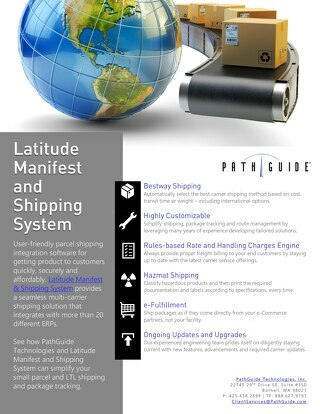 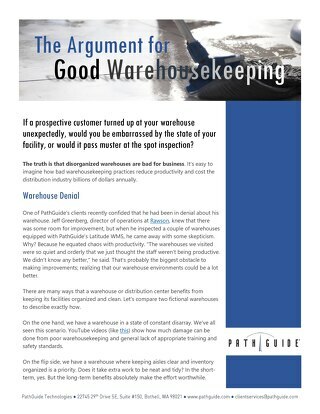 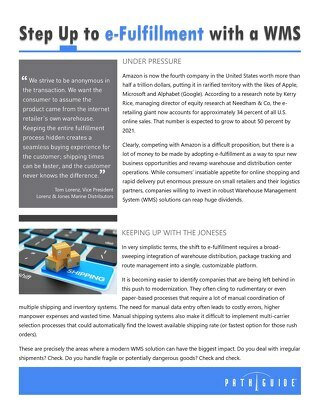 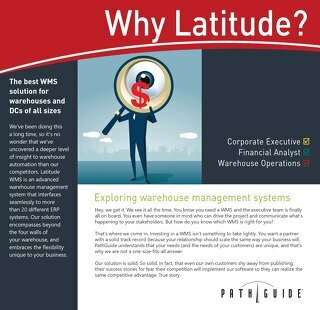 So much more than just streamlining your warehouse operations. 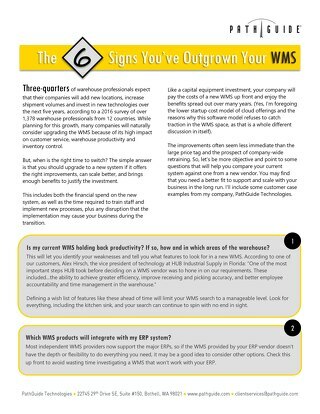 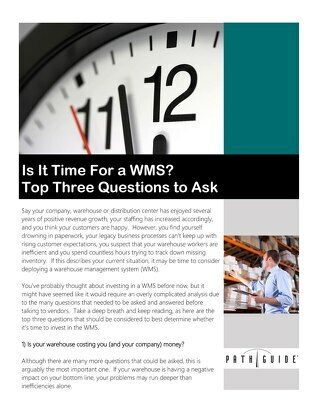 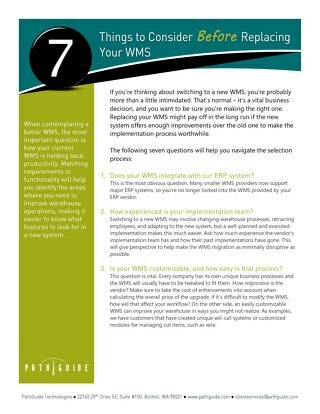 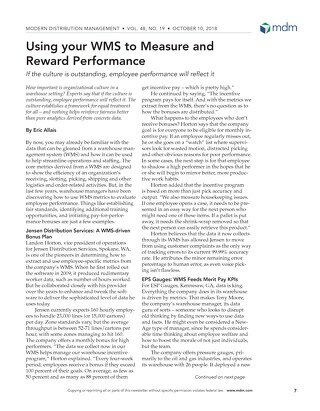 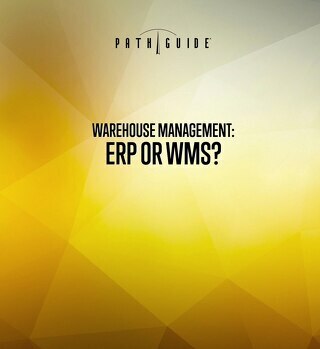 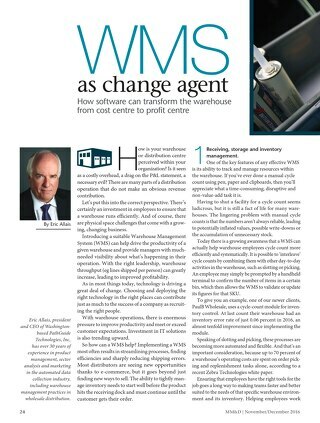 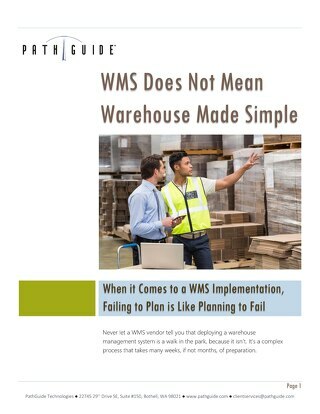 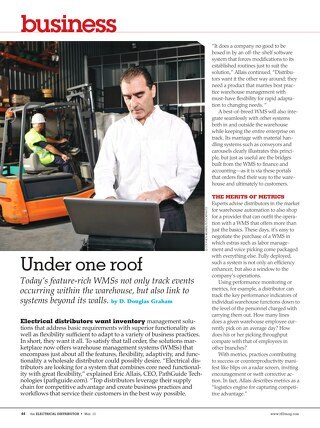 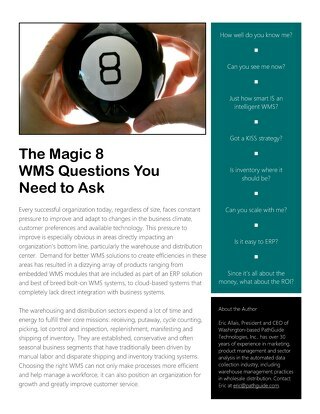 Is it Time for a WMS? 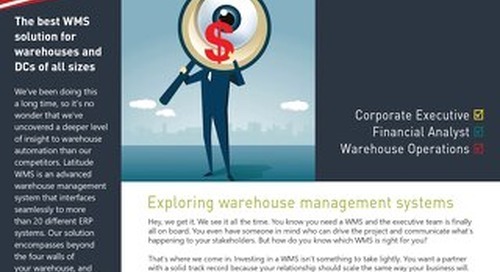 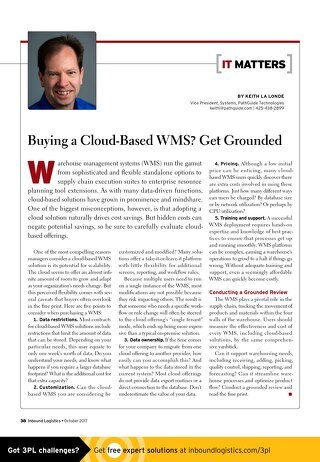 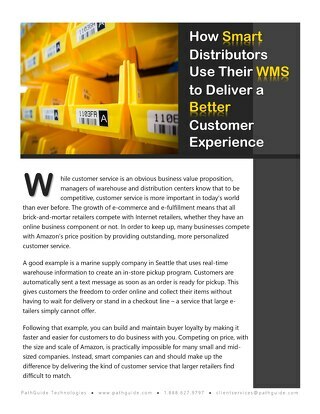 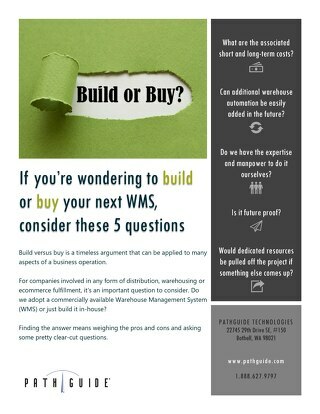 Your Next WMS: Build It or Buy It? 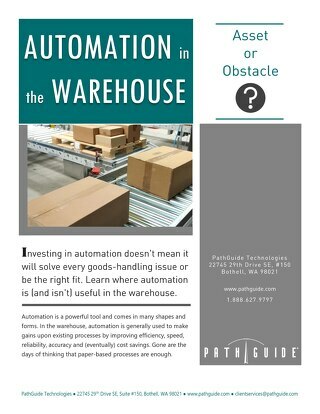 Automation in the Warehouse: Asset or Obstacle?